BionX E Bike systems are quite popular. Nowadays, they are being used by approximately 30 electric bike brands. If you want to make your BionX electric bicycle faster you should use one of these high quality tuning tools to derestrict your engine. The tuning devices will take away the 15 mph (25 km/h) speed limit of your BionX engine which allows you to drive much faster with the motor power still assisting. 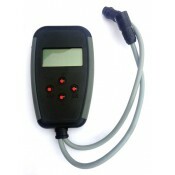 The BionX tuning tools we sell are thoroughly tested, easy to use and very simple to install. Of course, you can undo the tuning process and restore your bikes original condition at any time.